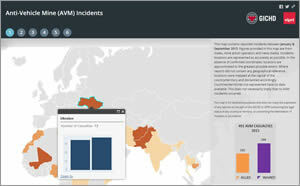 GICHD and Esri will work together to develop the next-generation technologies to plan and manage demining programs in countries such as Cambodia, Vietnam, and Afghanistan. 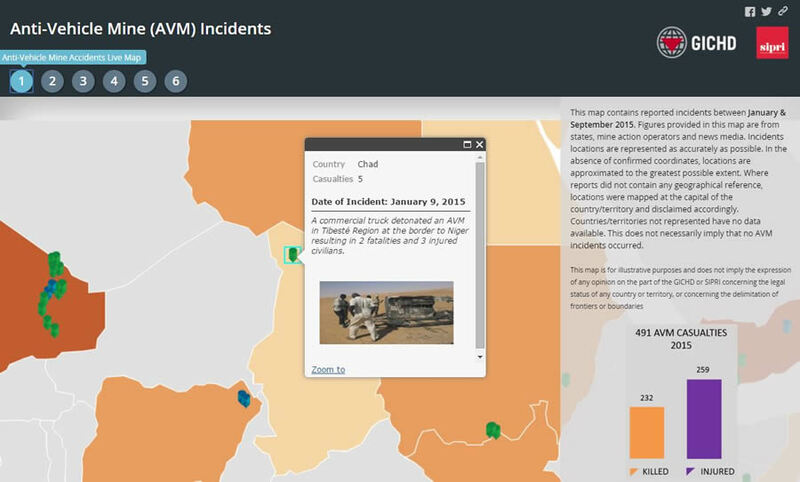 The collaborative effort will focus on creating new apps and spatial analysis and reporting tools for the Centre's Information Management System for Mine Action (IMSMA), the software that already incorporates Esri's GIS technology. "Mine action [work] is inherently geographic. It relies on identifying the location and spatial extent of explosive hazards and analyzing their proximity to vulnerable communities and assets. GIS is ideally suited to support this work," said ambassador Stefano Toscano, GICHD director. GICHD and Esri signed a memorandum of understanding in October, further strengthening what has been a 17-year partnership to rid the world of land mines and other explosive remnants of war. 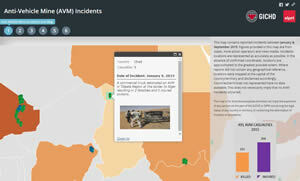 In 1998, GICHD enlisted the help of Esri and a team of GIS programmers to create IMSMA, a single database application for all demining projects that could be tailored for each country's cleanup efforts. The Centre's next version of IMSMA will further harness Esri's latest GIS software and deliver a set of increasingly interrelated tools and processes that can be configured for each country's needs. GICHD will work with Esri to develop and maintain future IMSMA components, which will complement existing information management offerings including mobile data collection, spatial analysis, and reporting. GICHD's objective is to work with Esri and partners to enable the use of GIS throughout the mine action community within the next three years. "The Centre's work is profoundly important and deeply geographically oriented," said Esri president Jack Dangermond. "Saving and enhancing people's lives across the world depends on GICHD's success, and the Centre's success depends on accurate, up-to-date GIS solutions and information. We at Esri are proud to provide our technology and expertise to help drive GICHD's mission."